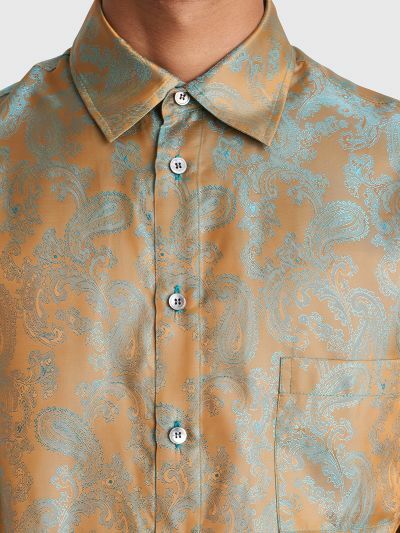 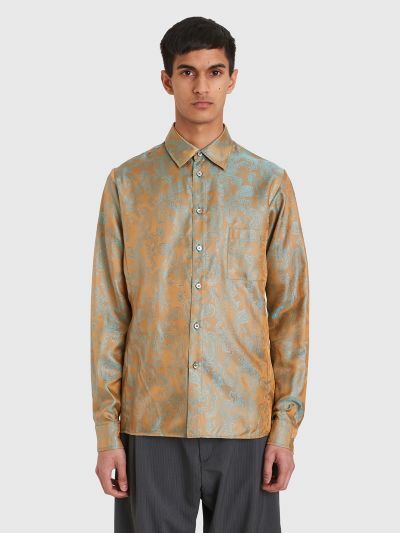 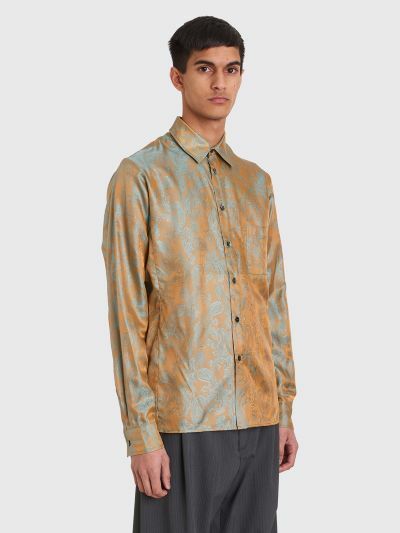 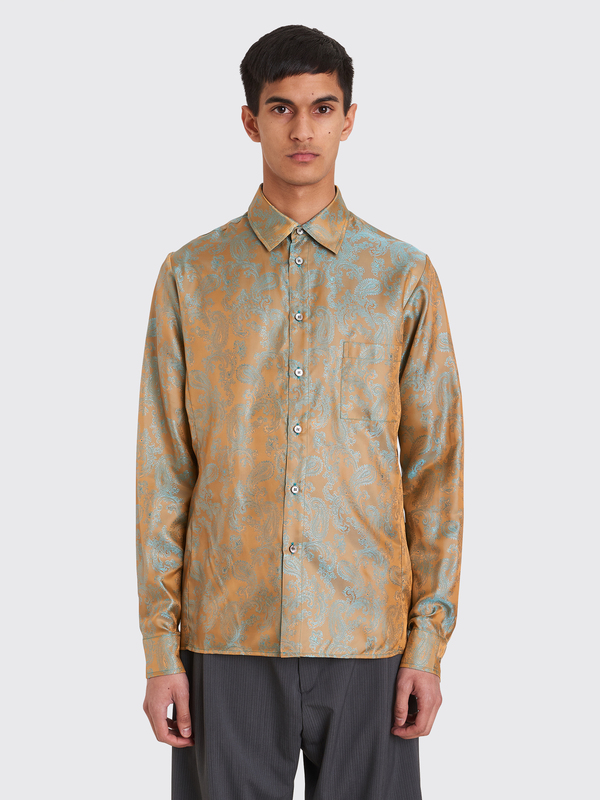 Shirt from GmbH made from a paisley jacquard fabric. 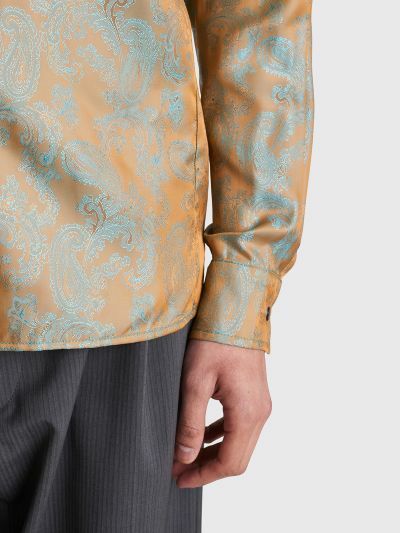 Features a spread collar, front button closure, a single chest pocket, back yoke, buttoned cuffs and a straight hem with slit vents on the sides. 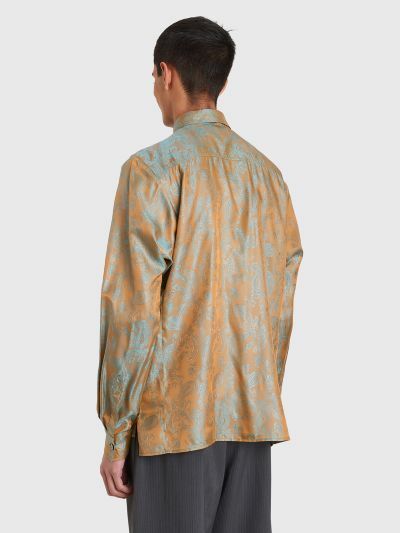 Gold and turquoise shirt. 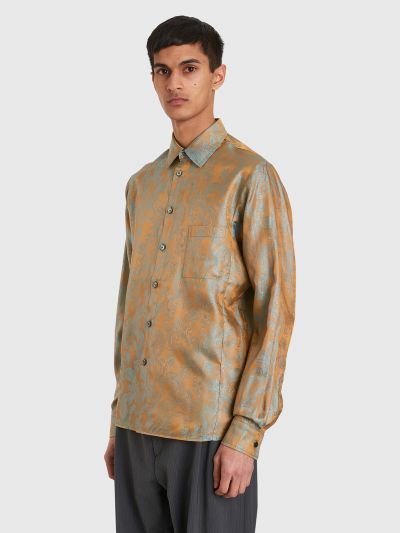 Made from 55% polyester and 45% viscose.